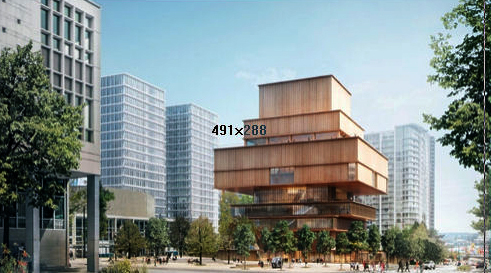 Today, like many other Vancouverites, I got a preview of what may someday be our new Vancouver Art Gallery. As a friend of a most pragmatic and knowledgeable architect, Abraham Rogatnick, who died six years ago I would still agree with his manifesto that the VAG should stay put. What has changed since his death is a city that is full of more money that I do not see going into places that need it. We get more bike lanes while improvements in our transit system are still in some far off future. The tracks on the Arbutus Corridor, in spite of Canadian Pacific’s cleanup are still rusting. I despair that Arthur Erickson is not around to lecture us on this ongoing folly. But I must confess that there are two men I have second thoughts about. These men are realtor Bob Rennie and the other is our Prime Minister Mr. Harper. The latter I do not like nor do I agree with his policies. The former I see as a tainted developer (with no personal information to back that up). I do not know enough to like or dislike him. But when today he went on the record in saying that before this project moves forward (how I hate that expression so frequently used by our politicians) he wants to know how the great cost will affect the purchase of art, the promotion of art, the nurturing of our artists. He is bang on! Furthermore if Vancouver gets its “World Class Art Gallery” will Regina, Winnipeg and other cities in Canada also merit such a folly? In Abraham Rogatnick’s Manifesto central to it is the idea that the present Vancouver Art Gallery is the very centre (bellybutton?) of our city. Before this gallery moves what plans are being made to keep that centre where it is? 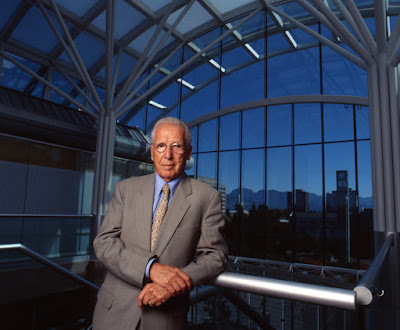 One of the possible solutions would be to make the folks of our University of British Columbia who find it convenient to be outside of Vancouver in an area of lovely forests that now boasts a Save-On and cookie-cutter truncated condo towers move out of Robson Square. UBC in one protracted swoop has killed Robson Square. Perhaps Simon Fraser with its vibrant downtown campus could make better use of it. And they might even find a solution to keeping our city’s centre where it is.